Researchers from Penn State University (PA, USA) have discovered that a compound present in green tea may instigate a pathway that kills oral cancer cells, whilst leaving healthy cells untouched. The team hopes that the discovery, which was published online in Molecular Nutrition and Food Research recently, could lead to new treatments for oral and other cancer types. The compound at the center of this research, a polyphenol termed epigallocatechin-3-gallate (EGCG) found in green tea. In previous studies, it has been indicated that EGCG can kill oral cancer cells whilst leaving normal cells unharmed, but the explanation for this activity was lacking. However, the new research indicates that EGCG may trigger a process in mitochondria that ultimately leads to cell death. As the mitochondria continue to be damaged, expression of antioxidant genes in the cancer cell also decreases, lowering the cancer cell’s defences even further. Lambert expanded: “So, it’s turning off its mechanism of protection at the same time that EGCG is causing this oxidative stress,” By contrast, EGCG appeared to increase the capabilities of normal cells to protect themselves. The researchers grew normal human oral cells and cancerous human oral cells side-by-side and then exposed both to EGCG at concentrations comparable to that of saliva after chewing green-tea chewing gum. At selected intervals, the researchers analyzed the cells for evidence of oxidative stress and antioxidant response. Fluorescent dyes were utilized to measure mitochondrial function and oxidative stress, and allowed the researchers to visualize the development of the cell response. Lambert’s team concluded that a protein termed sirtuin 3 is critical in this process. 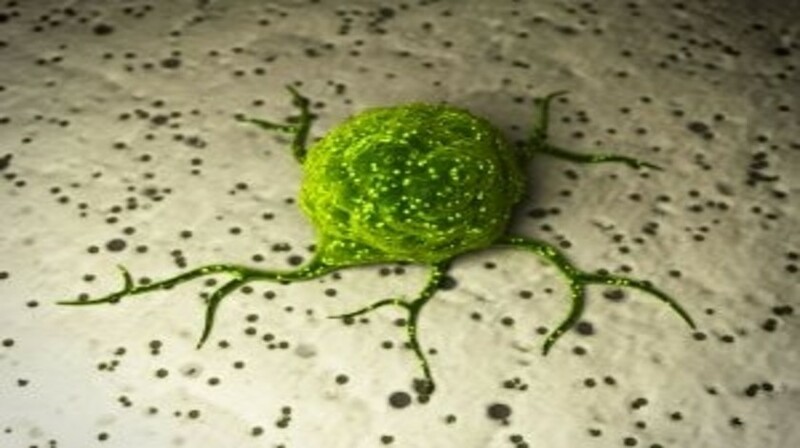 “[Sirtuin 3] plays an important role in mitochondrial function and in antioxidant response in lots of tissues in the body, so the idea that EGCG might selectively affect the activity of sirtuin 3 in cancer cells – to turn it off – and in normal cells – to turn it on – is probably applicable in multiple kinds of cancers,” Lambert explained. The research builds on previous studies that have investigated EGCG’s influence on oral cancer, which projections indicate will kill upwards of 8000 people in the USA in 2015. “We’ve published one paper previously just looking at the effect of these green tea polyphenols on oral cancer cells in cultures, and there have been other papers published using oral cancer cells and at least a couple of animal model studies that have looked at oral cancer and prevention of oral cancer,” stated Lambert. Lambert indicated that studying the mechanism in animals would be the next step, followed by human trials. If these are successful, they hope to create anticancer treatments that are as effective as current treatments, without the side effects.